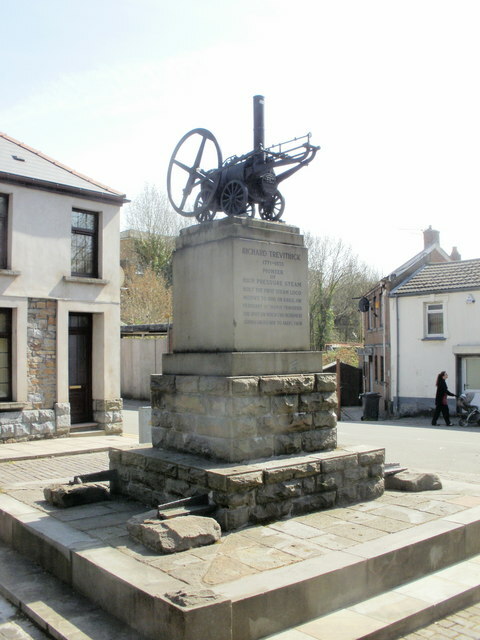 Navigation, on the maps below, is Abercynon. 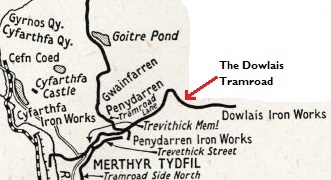 The lower map shows the canal basin and the tramway lines which served it. 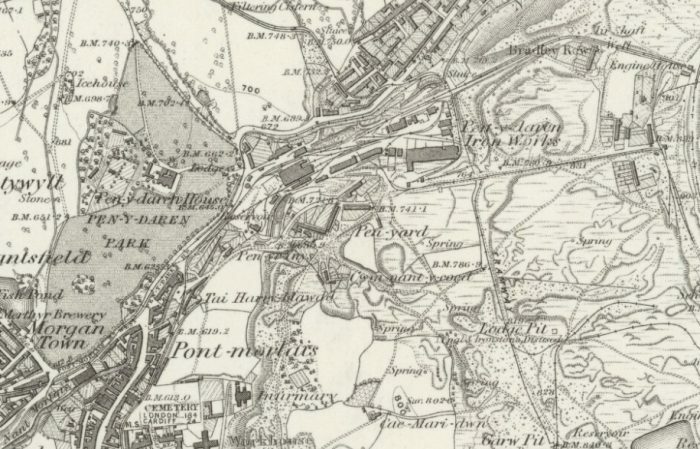 They seemingly are still in place in 1884/1885.The Canal is seen to turn first westward and then northward again, on the first of the two maps. 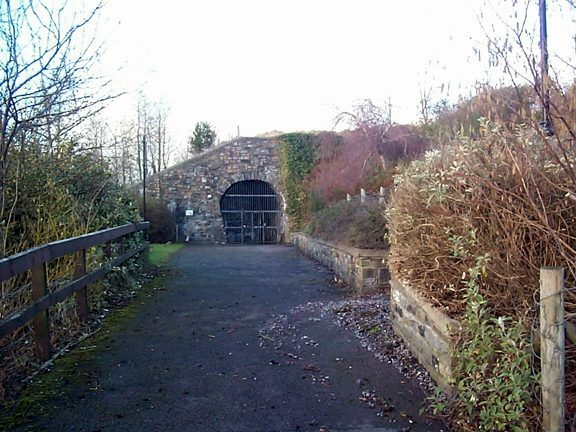 Some key buildings can also be seen. 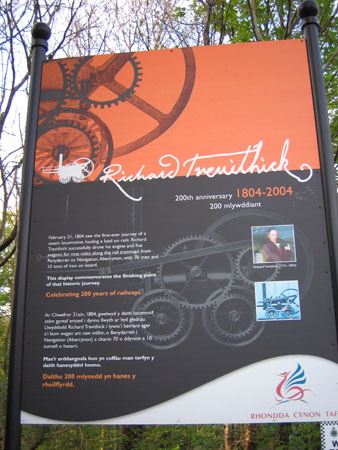 They include the Smithy and the Post Office as well as the Main Canal Company Offices. 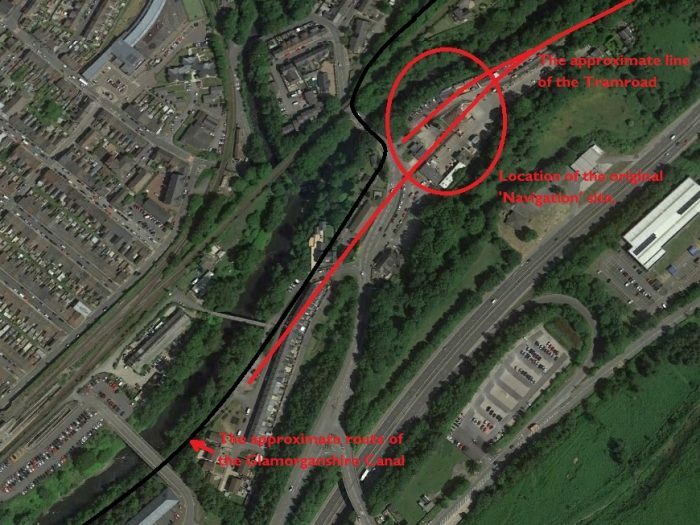 Abercynon on Google Earth, showing the approximate locations of the Glamorganshire canal (black line) and the Merthyr/Penydarren Tramroad (red line) The oval shows the location of the main facilities at ‘Navigation’. 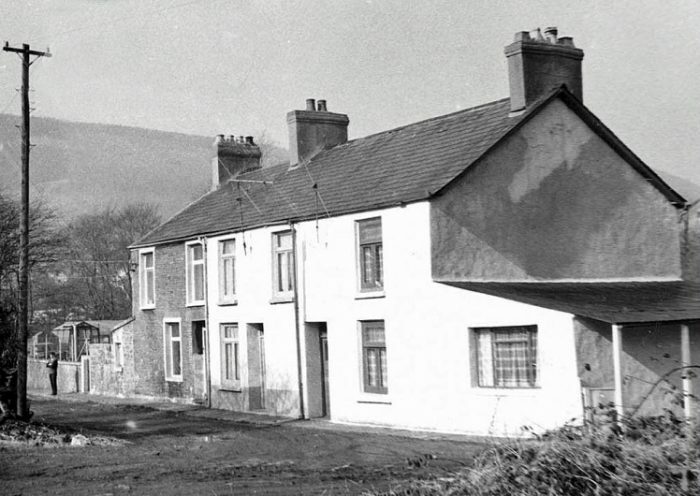 In the 1st Century this is now the location of the Fire Station in Abercynon. 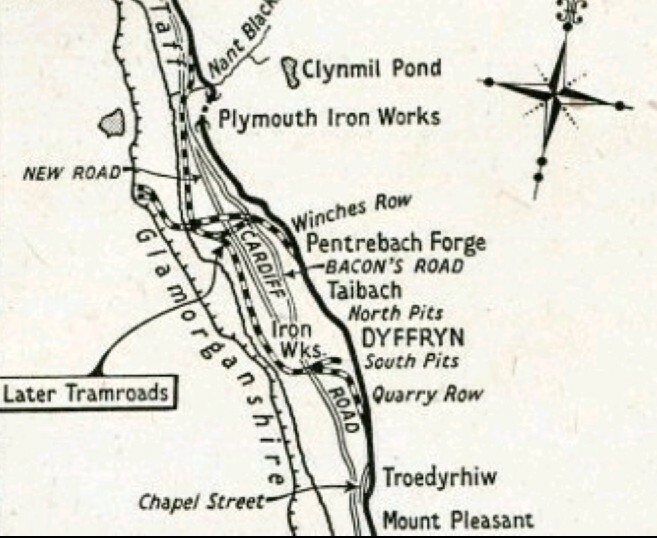 North of Plymouth Works and Nant Cwm Blacks, the tramroad continued along the East side of the River Taff towards Mertyr Tydfil.The approximate route of the Tramroad into Mertyr Tydfil is shown here. 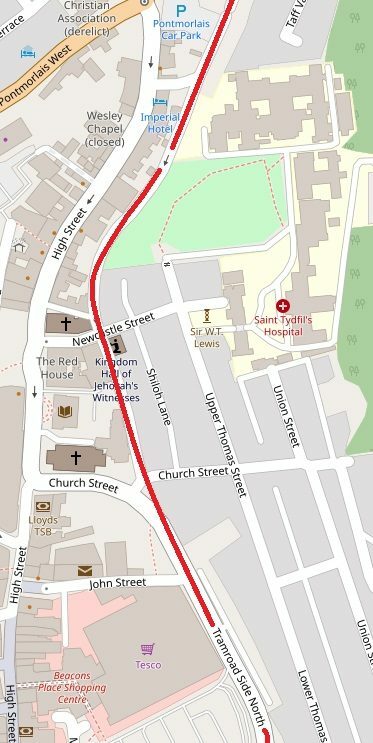 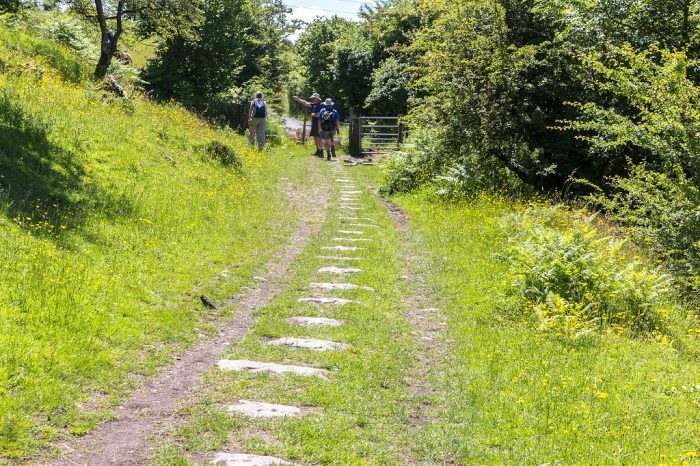 Most of the route is hidden under modern development but the two roads named Tramroad Side South and Tramroad Side North follow the line of the old Tramroad.